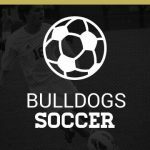 The Bulldog Soccer schedule for the JV and Varsity teams has been released. Click here for the JV schedule and here for the Varsity schedule. Make plans to come support the Bulldogs!